This bold marine scent opens with fresh grapefruit notes that lead to an aromatic heart with a deep woody base. 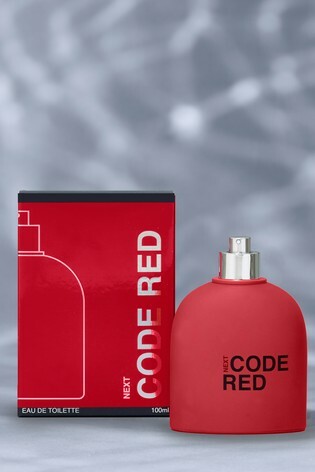 Striking and youthful, Code Red is energising and stylish with a collision of cool and aromatic fragrance accords. Bold grapefruit and bergamot are warmed by black pepper, cardamom and nutmeg with a rich woody base. Bergamot sourced from Southern Italy, where it is highly regarded for its rejuvenating qualities, creates a complex and aromatic citrus note. Cardamom oil, from Guatemala, has been enjoyed since ancient times and is one of the world's most expensive spices. In fragrance, it has a distinctive, cool spicy scent.